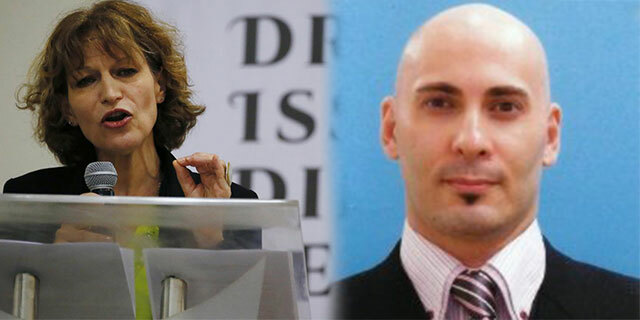 Canadian political scientist Amir Assadollahi lambasted United Nation special rapporteur Agnes Callamard on her visit in the Philippines. On his Facebook account, Assadollahi said he does not believe that Callamard is in Philippines because of an academic conference. "I don't buy it even for a second that she visited the Philippines for an "academic conference," Assadollahi said. "I don't buy it even for a second that she visited the Philippines for an "academic conference." Even if she was in the Philippines for an academic conference, her position and diplomatic protocol dictates that she should have informed the U.N. counterpart representing the Philippines of her intention to visit the country. Though this may not relate, it is also protocol for military representatives and government officials, judges, etc to inform of their official government position in the immigration/customs entry form. Another example of protocol is when a country's military personals attend school in another country, in which they must wear their country's military uniform while attending school and while still in service even though espionage and sever or put strain on diplomatic ties. Her behavior shows that she is someone who does not fully understand diplomatic protocols and thinks she is above anything in international relations. Sa tingin nyo ba si Leni Robredo ang totoong VP? WATCH: Lalaking nakaligtas sa kamay ng Maute Group ikinuwento ang nakakakilabot na pangyayari! WATCH: PRRD Minura ABS-CBN Sa Harap Mismo Ni Doris Bigornia "Mga put___ng in*ng mga Oligarchs na yan." BREAKING! Babaeng Sinuhulan Ng Kampo Ni Trillanes para Sirain Si PRRD, Lumantad At Nagsalita Na! SHOCKING! Baho Nang AQUINO COJUANCO Na Pinilit Tinatago Nang Media! Copyright © 2017 Pinoy Articles. All Right Reserved.